Pick from six characters and play 100 possible endings in this choose your own path style adventure. Who will survive the zombie apocalypse? YOU decide in PATHOGENS. 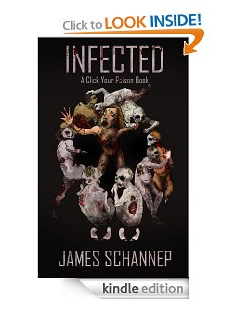 Read more about the first book, INFECTED.